Apple has lived most of her life with the mystery of why her mother Annie left home. And, in contrast to strict Nana who has brought Apple up and her father who has a new family, her actress mum has acquired the glamour of absence. When she returns and invites Apple to live with her, then Apple finds herself recast in the role of carer, not only of new sister, Rain, but also, to an extent, of Annie herself. 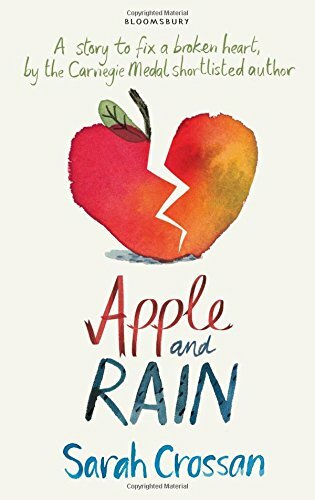 Apple, who faces crises of love and friendship at school and emotional upheavals at home, is a sympathetic figure. Sometimes foolish, frustrated and thoughtless, like all of us, her loyalties are pulled this way and that. But her heart is in the right place and gradually she finds support. There’s new friend Del, a bit weird yet reassuringly persistent when Apple gives him an initial brush off. Most of all, there’s Mr Gaydon, the new English teacher, who discovers and encourages Apple’s talent for poetry, a means to understand and express the feelings that threaten to overwhelm her. Sarah Crossan writes elegantly and engagingly about recognisable characters coping sometimes well and sometimes not so well with difficult, yet not exceptional, situations. Even those readers who don’t share Apple’s and the author’s passion for poetry, will find much to enjoy and think about as they imagine themselves in Apple’s shoes.